To compliment your coolant hoses, you can purchase a genuine Samco Sport clamp kit with all clamps required for the perfect installation. 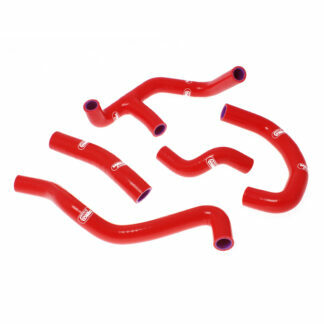 It’s important when using Samco Sport hoses to insure you are using the correct type of clamp. Some OEM types can damage the hose and we highly recommend the use of these giving a good wide spread of tension to ensure no leaks. These are not supplied with the kits, please email us for a quotation.